What does the Profitability by client report show? This report tells you who your most profitable clients are. 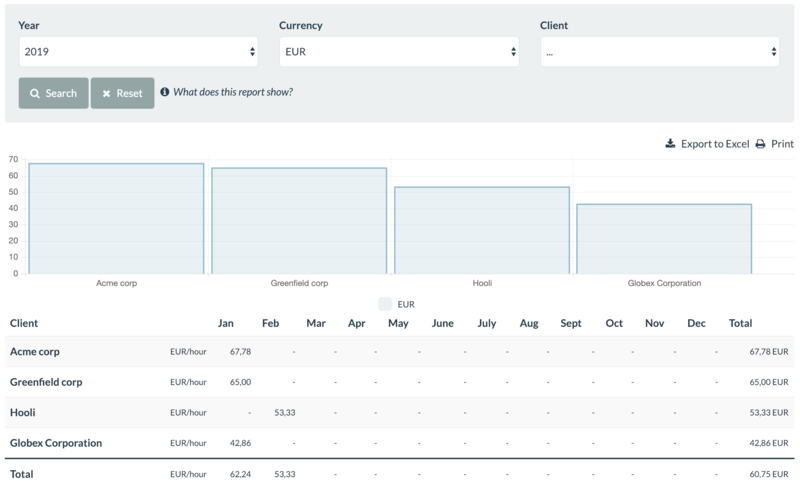 The Profitability by client report shows you, for each month, your profitability per hour and per client. It takes into account the jobs marked as 'Finished' and as 'Invoiced'. If you work with different currencies or units, your first have to select a currency/unit in the filter to be able to see the report. To know more about how the profitability is calculated, please see http://help.lsp.expert/jobs/can-i-see-the-profitability-of-my-jobs.